Happy Winter! 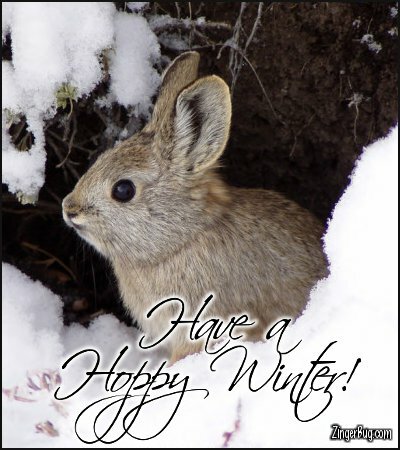 Winter officially begins on or around December 21 with the Winter Solstice. The solstice is celebrated in many cultures because it is the shortest day of the year. Celebrate winter with these comments, photographs, drawings and glitter graphics designed for posting on FaceBook, Twitter, Pinterest, or any other blog, friendship site, social networking web page.